Honey is 4 times more potent than Betadine in healing and curing wounds, a new research study concluded. Betadine is a sterilized solution containing Povidone-iodine as an active ingredient. It is commonly used in every home worldwide for healing and prevention from microbial infections to wound. Honey is a natural substance obtained from bees. Honey was used by soldiers in the Second World War on wounds, so AIIMS doctors were inspired to conduct a research study. Honey is collected from beehive present on neem trees and impurities of honey are removed with the use of gamma radiations. This honey was supplied by Ramdev’s Patanjali Yogpeeth, Haridwar to AIIMS. The six week study was conducted in the AIIMS Trauma Center on 45 patients. In which, 23 patients are treated with local application of honey and 22 patients with Betadine. Three patients (one treated with honey and two treated with Betadine) had left the study in between, so data were collected from 42 patients. Every patient is bandaged on alternate day and treatment is given for six weeks. After 14 days, the results were observed and AIIMS doctors amazed to see rapid recovery in patients treated honey. AIIMS doctors had declared that honey has four times healing powder than Betadine. The analysis has shown that honey is four times more effective than Betadine in healing the wounds. Wounds treated with honey bandages are cured in very less time as compared to Betadine. Wounds treated with Betadine had taken four times more time in healing and curing. 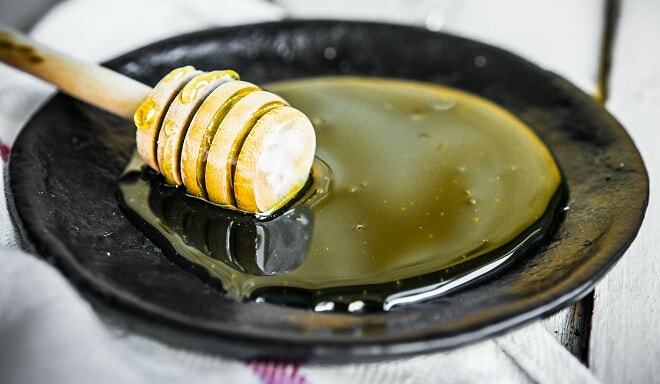 Dr. Anurag Srivastava, a professor of surgery at AIIMS said that now we are using honey on every patient for healing wounds instead of Betadine solution. We have been using honey for healing wound for 2 years and results of random trails are amazing and better than Povidone iodine (Betadine). A comparative research study of Betadine dressing and honey dressing conducted by department of Surgery at AIIMS is now published in Indian Journal of Surgery. Honey is an adjuvant in ayurveda given with oral medicines to enhance the action of ayurvedic medicine. It is also used for local application in certain diseases including wounds and many ayurvedic ointments. It has a great healing powder, so it is used on wounds, burns, scrapes and skin ulcers. Some clinical and laboratory studies suggest that honey is broad-spectrum antibacterial substance and has no side effect. Moreover, it heals the wounds and skin ulcers without having any adverse effect on skin tissue. In addition, honey possesses hydrogen peroxide that is released slowing and killing microbes. It also alleviates inflammation, swelling and pain due to the wound. Furthermore, it stimulates the healing and growth of damaged tissues.